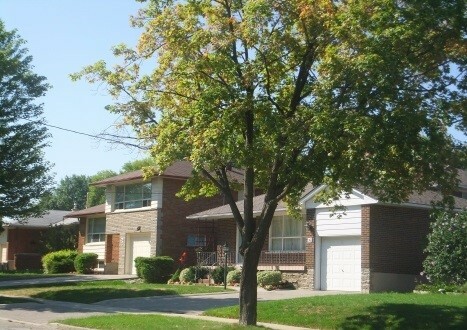 West Deane Park is an extremely quiet neighbourhood with a good mix of long-time residents and newcomers. The country feel of this neighbourhood is derived from the Mimico Creek Valley, which cuts a wide strip through the centre of West Deane Park neighbourhood. The Mimico Creek Valley is home to a variety of wildlife including beavers, deers, groundhogs, skunks, raccoons, red tailed hawks and blue birds- all of which have been spotted by residents of this neighbourhood. 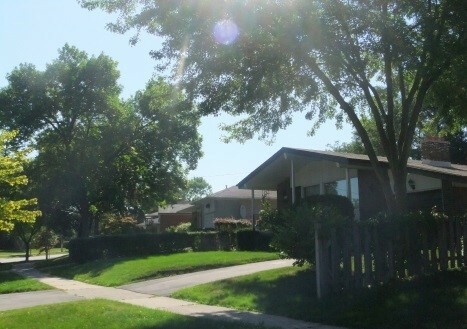 If you love nature and animals, you will love the West Deane Park neighbourhood. West Deane Park neighbourhood was farmland when it was purchased by magnate Percy Law in the 1930's. Law used the farmland to raise prize cattle and race horses and subsequently served as a storage depot for his construction equipment.In keeping with his love of race horses, Percy Law built a Colonial Revival "Old Kentucky" style home over an existing brick farmhouse that stood on his property. This impressive house with its large Corinthian- style pillars is still standing, set back from the street at number 59 Beaverbend Road.Percy Law sold his hobby farm in the early 1960's to developer Edmund Peachy who built the present day neighbourhood. Peachy named this subdivision West Deane Park, in honour of his wife whose maiden name was Deane. 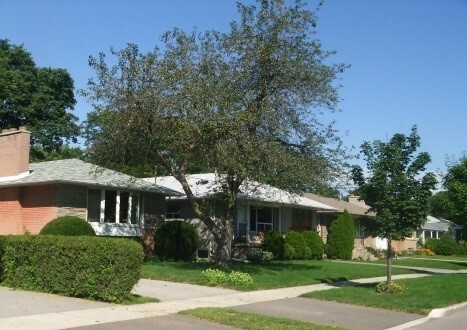 The West Deane Park area offers easy access to highways 401 and 427 as well as to the airport. Bus services on the East Mall and Martingrove Road connect passengers to the Go Train stations while the Eglinton Avenue and Rathburn Road buses provided connection to the Yonge-University-Spadina subway line. 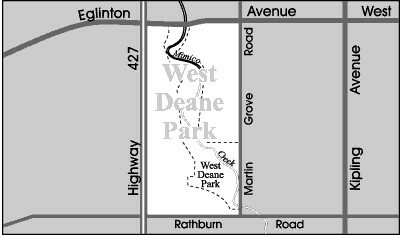 West Deane Park is situated in the scenic Mimico Creek Ravine Valley. 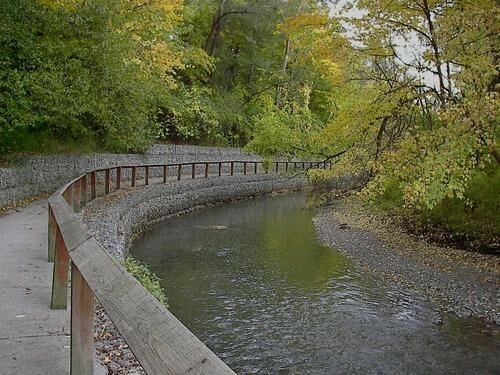 This park is highlighted by the paved exercise and bicycle trails that winds it way along the course of the creek. West Deane Park includes a children's playground, two baseball diamonds and a shaded picnic area. The Martingrove Tennis Club is located at the north end of the park and the four tennis courts double as ice rinks in the winter time. The Rathburn Medical Centre on the East Mall is part of a shopping plaza that includes a supermarket, pharmacy, hair salon and convenience store.